In B2C Content Marketing 2018: Benchmarks, Budgets and Trends—North America report by Content Marketing Institute and MarketingProfs, merely 38% of respondents' organizations reported having a documented content marketing strategy. Among those who thought their content marketing efforts were most successful, 59% had a documented strategy compared with 18% for the least successful marketers. The numbers were similar on the B2B side. Clearly, a documented strategy makes a difference in content performance. Instead of flooding the Internet with content that's merely meh, avoid the following content marketing mistakes to ensure that you are strategically producing content that breaks through and wows your audience. Many content teams don't spend sufficient time up front to research the niche they are targeting, missing opportunities for creating unique content. Little to no audience research is done to understand important gaps in the market. No interviews. No insight into what's being shared or linked to the most, by whom, or for what reasons. Often little thought is given to the types of content that would truly captivate the targeted audience. One software company that's doing content research right conducts interviews of 20 members of its target audience for each of half a dozen blog posts it produces monthly. The result is content that offers tangible, real-world, insider insights far beyond what any others are doing in the space. That process also translates into an army of promotional soldiers for the company: Each participant takes to social media to promote the pieces to which he or she contributed. You may be thinking that conducting 100-120 interviews monthly for your blog would be like herding kittens. And that's where looking to technology, standardization, and established processes makes the effort efficient and manageable. The result is an onslaught of online promotion of the company's content all the time, every week, by those with credibility and existing social networks. 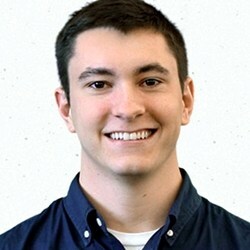 Kevin Owens is a digital outreach manager at Terakeet, an enterprise SEO company for Fortune 1000 and disruptor brands.